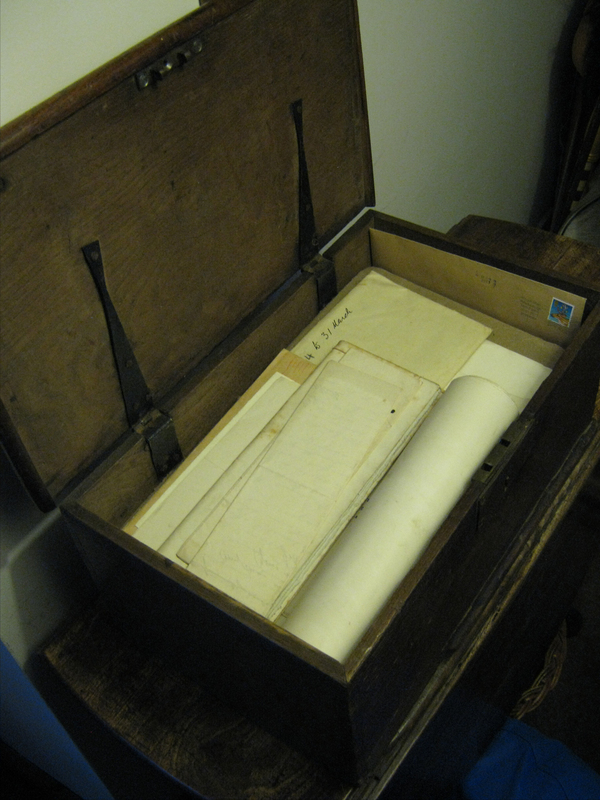 This is my forth blog post in a series about some old papers of the WALKER family, from Kirkliston, West Lothian, Scotland. See a list of these papers HERE. 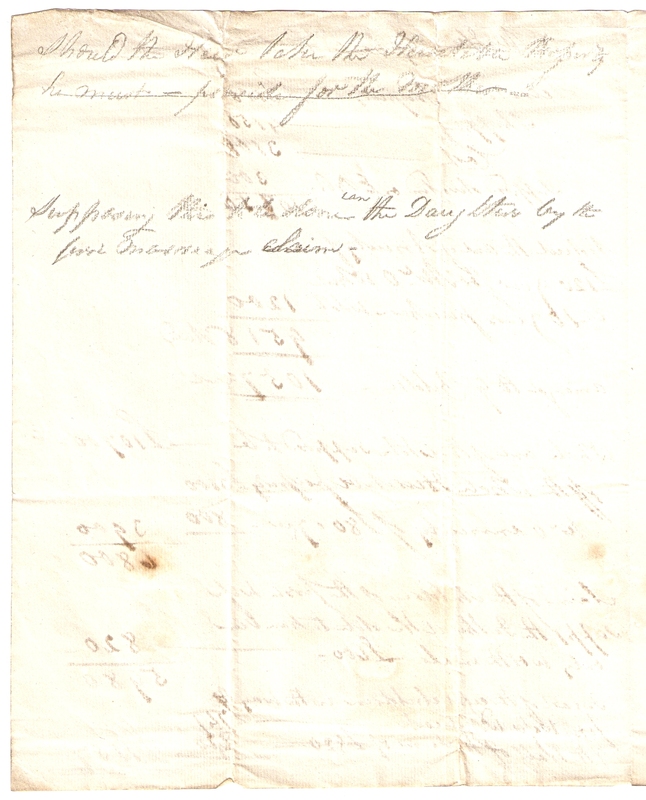 This letter is from the Earl of Hopetoun, agreeing to lease the farm of Hiddlefaulds, in Kirkliston, West Lothian, to James Walker (my 4x Great-grandfather) from 1775, for two further terms of 19 years each. 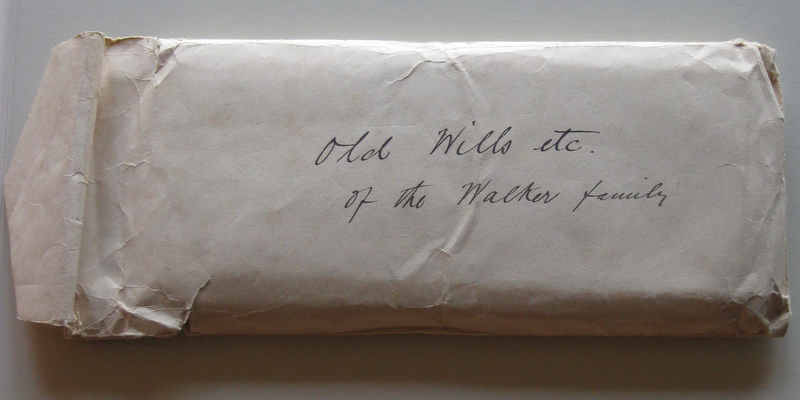 Family notes say that the Walker family (under James’ father, William) first moved to Hiddlefaulds in 1745. 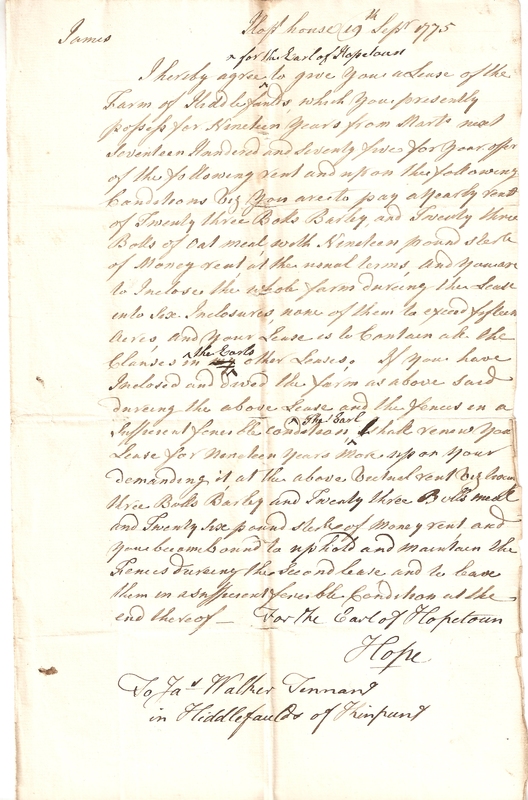 James Walker (named above) married Janet Flint in May 1766 (recorded in the parish registers in both Kirkliston and Mid Calder). 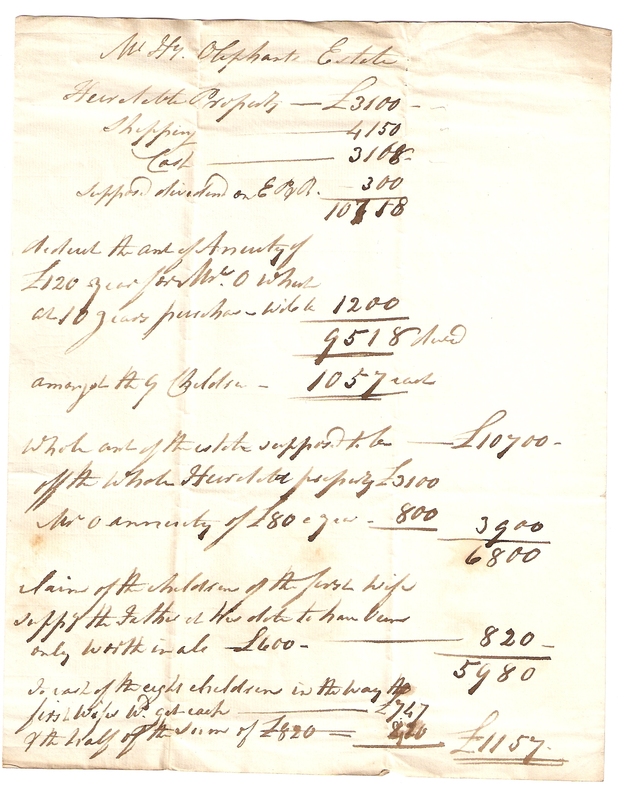 They had 2 daughters; Mary (b. June 1767), and Elizabeth (b. Oct. 1769), and one son; John (b. Jan. 1772). John would continue farming at Hiddlefaulds after the deaths of James & Janet (who both died in 1817). I don’t have any more information about the daughters, beyond their birth/christening dates! [Deduct …] of An[n]uity of . £120 [a] year for Mrs. O […] .